Life Outside The Box - What all the buzz is about! 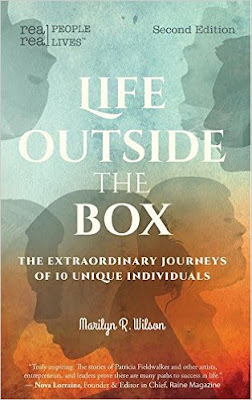 Just in time for the holiday season, the second edition of Life Outside the Box is available for purchase. Update November 2016 - It's been twenty months since the launch of Life Outside the Box and I find myself immersed in the process of writing book two in this series. Where does the time go? The journey for me of writing Life Outside the Box was extraordinarily difficult—terrible self-doubt was a constant companion. What a relief that reader response and industry reviews have been overwhelmingly positive. It has affirmed for me that the timing was right and continues to be right to share with readers the different ways people choose to live their lives. People are bombarded as never before with societal expectations. We need to be reminded the journey we are on is ours alone. There is no one right path to follow; there is no one correct way to live—we are each extraordinary in our own way. Be sure and keep your eye out for my newest book - The Wisdom of Listening, due out in fall 2017 as well as Life Outside the Box #2, tentatively due for release in the Spring 2018. I can't wait to share ten new and amazing stories with you. A ten year journey to reach this moment, 18 months birthing the manuscript and now it's almost here! My first book - Life Outside the Box. There will be lots more coming - excerpts from each of the chapters, information on how I met each person interviewed, an indiegogo campaign and much, much more. For today I just want to celebrate the moment and answer the questions I get asked frequently. 1. What is your book about? Life Outside the Box really doesn't fit inside any "regular" category - something I am very proud of. My goal throughout my career is to give a voice to how uniquely each person's life is. I truly believe everyone has a story to tell. I truly believe each journey and definition of success is unique. I truly believe we can learn something from every person we meet. I know these interviews have changed my life. The world will never look the same to me. Everyone seems to like to hear the inside skinny on how others live - hence the many Reality TV shows (although let's face it - most have nothing to do with reality.) The stories in Life Outside the Box are real. How exciting to now have a chance to share all the material from my interviews that just wasn't right for a short magazine article. 3. Who is featured in Life Outside the Box? Ruthie Davis – luxury international shoe designer, American Apparel and Footwear Association designer of the Year 2014 and member of the prestigious Council of Fashion Designers of America. Sheer hard work, persistence, knowing your client, vision, team building, what’s the hook and trusting your intuition all come together in this talented entrepreneur. Katherine Soucie – textile artist and eco fashion designer (Sans Soucie) who offers a whole new, sustainable way to look at this industry. What we wear and the way we wear it should not be defined by a commercial industry nor changed each season – it should be an expression of who we are. I also admire her dedication to education and constant growth as an artist. Geir Ness – Laila Perfume and Skin of Norway creator who sells globally. One who has always set a course and then made it happen. He is probably the most positive person I have ever met and truly does not recognize the word no. If his eye is on the prize, a way is found. Patricia Fieldwalker – luxury international lingerie designer who unapologetically stands apart by refusing to embrace mass production. She follows a path that gives her satisfaction – creating quality work that will stand the test of time. Pamela Masik – a painter, sculptor and performance artist who continues to produce work with a message regardless of outside commercial pressure. Success is not defined by sales, it is defined by the truth embodied in her work. Shane Koyczan – a spoken word poet who rocked the internet with his collaborative and powerful anti-bullying video, To This Day. To those struggling, he offers the important message that they are not alone. Lisa-Marie Mazzucco – photographer of classical musicians who is the perfect example of rebranding and finding success after taking time off to spend with her son. When one door closes there is always another ready to open. Caroline MacGillivray – founder of Beauty Night Society who has dedicated her life to helping people find health no matter where they live. It’s about empowerment and connecting mind, body and spirit. 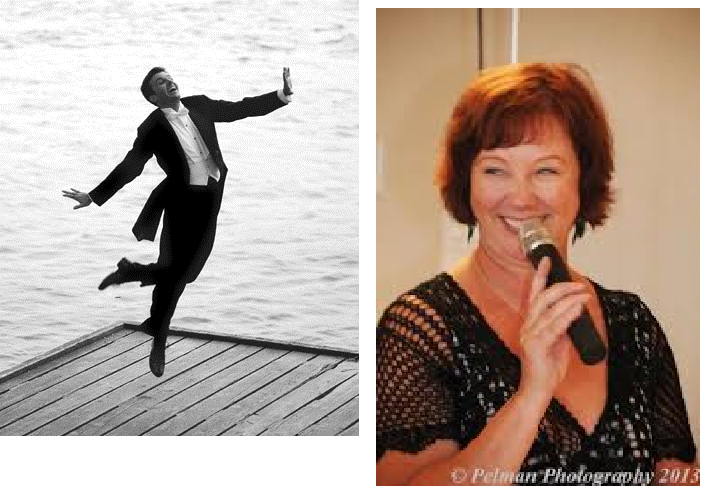 William Orlowski – Canadian Tap icon who was completely debilitated by Dystonia and after cutting edge brain surgery, returned to produce new choreography as well as teach tap to youth with special needs. I love his motto – Just Do and Be Brave! Julie Salisbury – the founder of Influence Publishing who walked away from her very successful high-end career in England to live on a boat for 7 years. Writing her story about these 7 years led her to founding Influence Publishing. Her ultimate message is all about finding your purpose in life. She has created a new business model and community that supports writers and helps them reach their goals. 4. What is Your Purpose in Sharing these stories? Life Outside the Box is a message of inspiration and validation to live a life without limits led by intuition. It encourages everyone to embrace their own unique purpose and let their definition of success come from within. There is no right path to follow, there is no correct way to live – we are all extraordinary in our own way. 5. Will you write more books like this? For more information, to book speaking engagements, find out about public appearances or hear about upcoming books, please visit my website at www.marilynrwilson.com.